My Dirt Road Anthem: Do you want to build a snowman? It snowed Sunday night and everytime I look outside that song pops into my head. Do you want to build a snowman? Go ahead have a listen, see if it doesn't get stuck in yours. 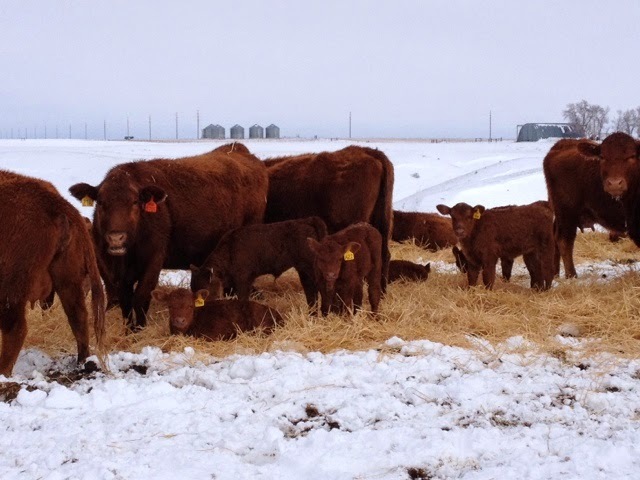 I think these cows are over the snow too, but aren't those babies freaking CUTE! 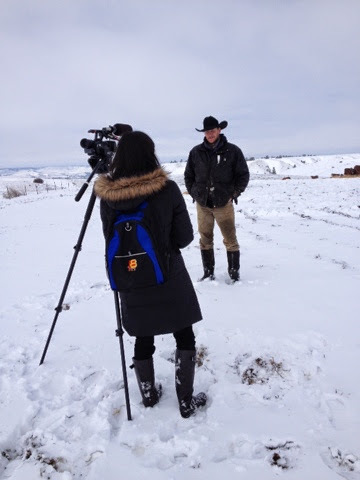 Rance and I got interviewed by the news people again yesterday. They wanted to talk about how the wintery conditions were affecting calving. Rance made me take of my beanie hat "to show off your red hair" while I did my interview. He told me he loves my hair and it was part of why he fell in love with me. I reminded him he had always dreamed he would marry a dark haired beauty. Can't fool me! He probably didn't like my hat! 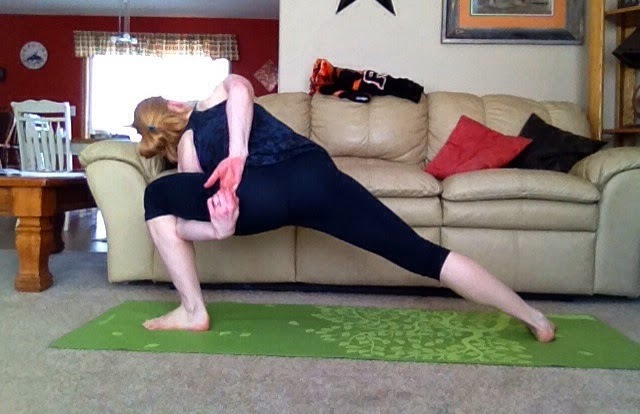 Worked some more on this yoga pose yesterday and my hands actually found each other. Until I tried the other side . My right side is so much more inflexible. 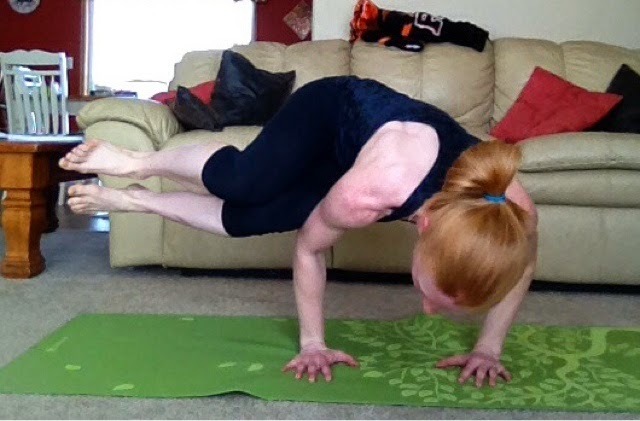 I also worked on side crow and didn't get it until I went to show my husband what I was trying to learn to do and then I got it on the first try and held it solid. YAY, I guess I just needed an audience. Wow I put a lot of pictures in this post. But since I am not running this week to heal up a foot thing I have to do something. Well, do you want to build a snowman? The snow isn't going to last much longer. At least it better not. You definitely have some yoga skills and are pretty much famous getting interviewed by the news twice :). Well, now obviously I have the snowman song stuck in my head. Fun seeing your ranch life photos! That last exercise move looks impossible. I couldn't do that! That side crow is beastly! I feel like all my yoga poses are like your second one. :/ I should post some pictures for laughs. People would get a kick out of my inflexibility. lol Great job on the crow. That side crow is FABULOUS!! That's so such a sweet comment from your hubby. But I have to agree, I love your red hair. It is fabulous! That song is being sung in repeat at my house. And the car. And anywhere we go. I can't escape. Cute babies! There is a song stuck in my head, but I don't know the name of it;) I usually wake up every morning with some random song in my head. Annoying! What a show off you are! Love that you needed an audience to do your best work. 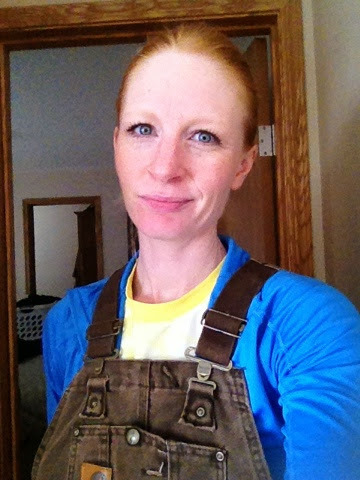 And yes, I can see why he loves your pretty red hair! I love the calves... and was surprised that they are tagged already. Do you do that as they are born? Loved the movie, loved the music, love snow, but at this point, I'd take a flame thrower to Olaf and Frosty. 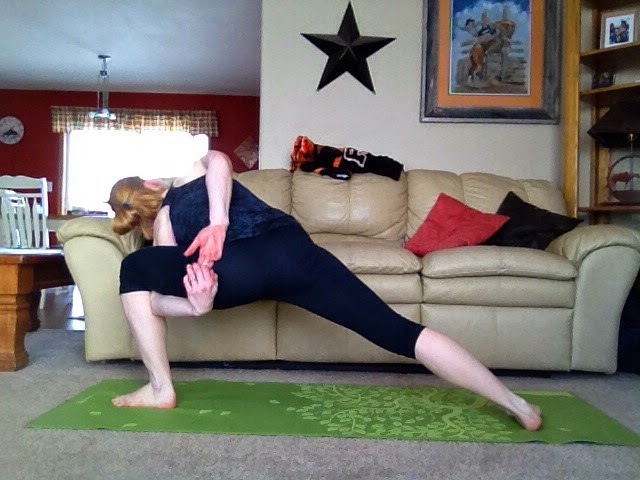 Oh, and that's awesome on the 1/2 flexibility ;) and awesome on the new move!!! The new calves are the best part of spring! I love seeing them. Also, I'm incredibly jealous of your mad yoga skills! 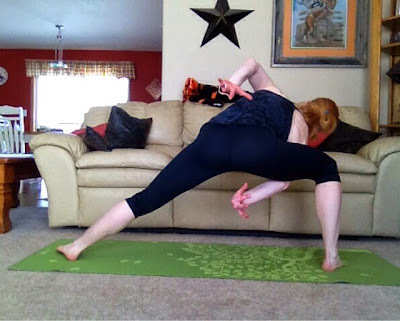 Well done on the side crow pose - it looks impossible!